The Queen Charlotte Track in the Marlborough Sounds has rapidly become known as the finest and most diverse coastal track in New Zealand. The Queen Charlotte Track is widely rated as the best single track in New Zealand and is one of 23 Great Rides offering bikers an exhilarating challenge. 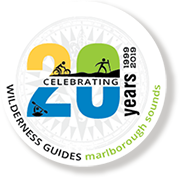 Wilderness Guides Marlborough Sounds celebrates 20 years! 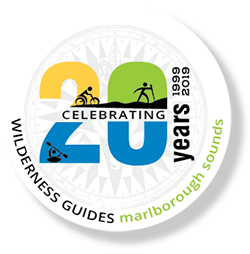 This October marks our 20th anniversary – two decades spent guiding visitors in the beautiful Marlborough Sounds. Come celebrate with us. After a good amount of rain in the Kenepuru area over the weekend the projected fire risk indicators in the Marlborough Sounds have greatly reduced and Department of Conservation have confirmed that the diversion on the Queen Charlotte Track between Kenepuru Saddle and Torea Bay has now been lifted. Thank you to all our guests for their understanding! We are now back to normal operating for all guided and independent walking tours and look forward to welcoming you to the Marlborough Sounds soon! Wilderness Guides can show you the Queen Charlotte Track & Marlborough Sounds New Zealand like no-one else! The Marlborough Sounds and Queen Charlotte Track, at the top of the South Island, is fast becoming the place of choice for visitors looking for wilderness and adventure - yet with all the comforts! 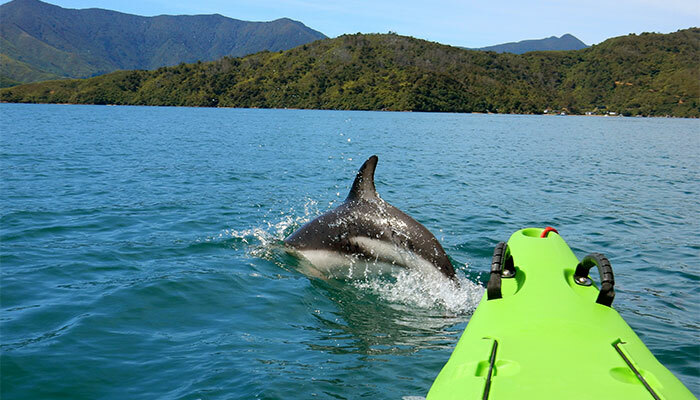 What makes your sea kayaking experience in the Marlborough Sounds different to other parts of New Zealand? This is where your adventure begins. With its wide, benched surface, spectacular views, native bush and, in parts, technical difficulty, the track offers bikers an exhilarating challenge. Watch our video of the recent visit of the TV One Breakfast crew, with Sam Wallace, as they take a trip in The Marlborough Sounds with Wilderness Guides NZ. 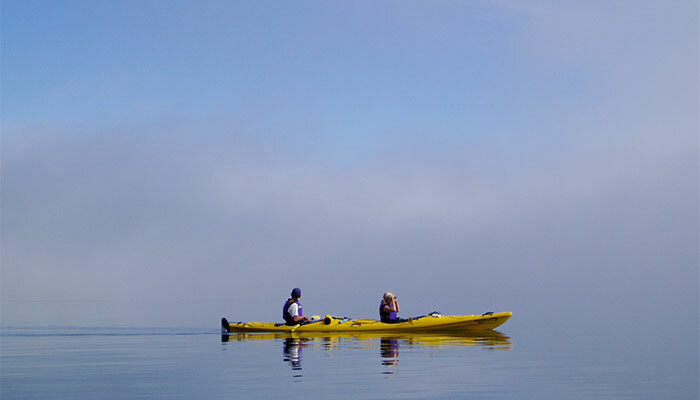 Wilderness Guides can show you the Queen Charlotte Track & Marlborough Sounds like no-one else! We live, work and play in this fantastic region - your guides are local people, have grown up here and call this area home. Our passion for this place is obvious and our commitment to our unique environment genuine. The Marlborough Sounds and Queen Charlotte Track, at the top of the South Island, is fast becoming the place of choice for visitors looking for wilderness and adventure - yet with all the comforts! It is located at the top of the South Island, near the famous Marlborough wine region and accessed by boat from Picton to its beginning at the scenic and historic reserve of Ship Cove in Queen Charlotte Sound. This is an area steeped in both Maori and European history. 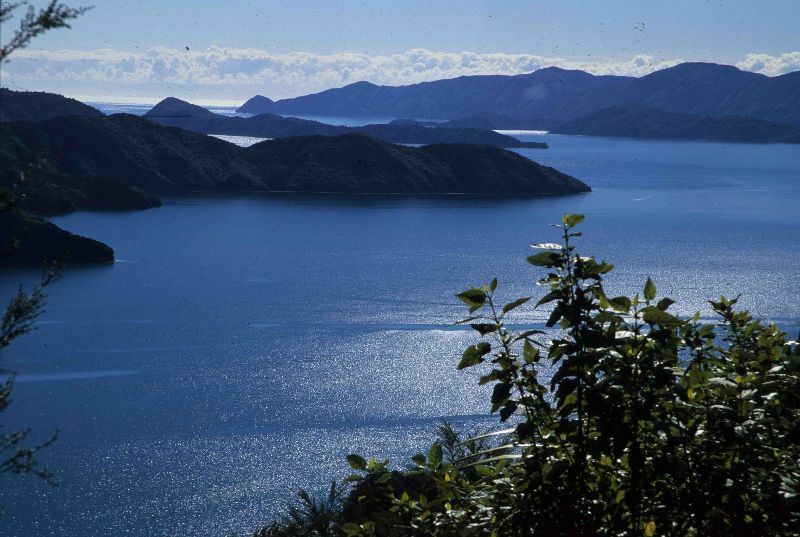 Today the stunning Marlborough Sounds are known as a maritime and eco-tour haven – popular all year round with sailors, hikers, trekkers, mountain bikers, adventure seekers and eco-tourists. The Marlborough Sounds and the Queen Charlotte Track is the ultimate place to hike, mountain bike and sea kayak with Wilderness Guides as you follow in the footsteps of those gone before.